One of the oldest theaters in town “Huns” on Huns Talkies road will be closed down to make a way for a business center most probably. The Huns theater land was on lease from the Devang Math, and after lease period has expired the trustees of the Math have decided to take possession of the land. Since the past couple of months no shows are running and now it is certain that the HUNS theater will be closed down. Huns was a very popular theater where Marathi films were screened. The theater was started by the Pardeshi Brothers on 17 December 1944. The Gandhrava Natak troupe of Ba Gandharav also performed here. 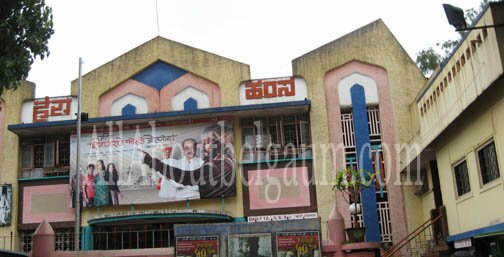 The theater has seen some fabulous movies to packed houses that of Dada Kondke, Maherchi saadi etc.